This luxurious, spacious self-catering guesthouse situated in the Northern suburbs of Cape Town offers you the tranquility of country life, yet also easy accessibility of the city centre as well as to Cape Town's main tourist attractions. 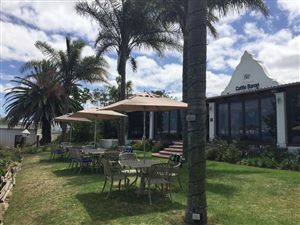 Whether you're a leisure or business guest, De Keurboom Guesthouse provides excellent, comfortable accommodation in a private environment at affordable rates. Situated close to the well-known Zevenwacht Wine Estate on the Stellenbosch Wine Route, our guests are able to enjoy the benefits of the city in a relaxed, country lifestyle. Kuils River is considered as the gateway to the Western Cape Wine Route, and is the ideal base for exploring the entire Cape Metropole. 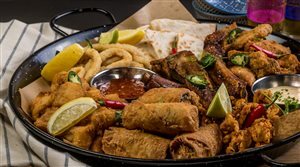 The wine estates of the Bottelary and Stellenbosch Wine Routes offer wine tasting, and their restaurants and tea Gardens cater for all palates. Despite its rural nature, this tranquil area at the foot of the Bottelary Mountains is considered a suburb of Cape Town and forms part of the Oostenberg. Golf lovers will find the nearby Kuils River Golf Club of great convenience. 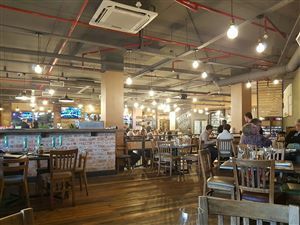 Some of the nearby attractions include the Willowbridge Lifestyle Centre, Tygervalley Centre, Cape Gate Centre as well as Grand West Casino and entertainment world, which has a wide range of bars and restaurants to choose from. We offer our guests a complete hospitality package, guided tours to the Cape Metropole, the Winelands and the West Coast. Airport transfers available on request. Spacious double bedroom with en-suite bathroom and plenty of cupboard space. Linen and towels supplied. 2nd Bedroom: 2 Single beds, sufficient cupboard space. Linen and towels supplied. Adjacent bathroom and laundry area. 3rd Bedroom: 2 Single beds, sufficient cupboard space. Linen and towels supplied. Adjacent bathroom shared with 2nd bedroom. Open Plan Living Area: Spacious open plan kitchen, dining area and living room. Indoor braai facility as well as lock up garage and washing line. Modern kitchen equipped with cutlery, crockery, microwave oven, fridge, freezer, stove and other kitchen appliances. Steam iron and ironing board supplied. Spacious living room with television, DStv, sofas and couches.